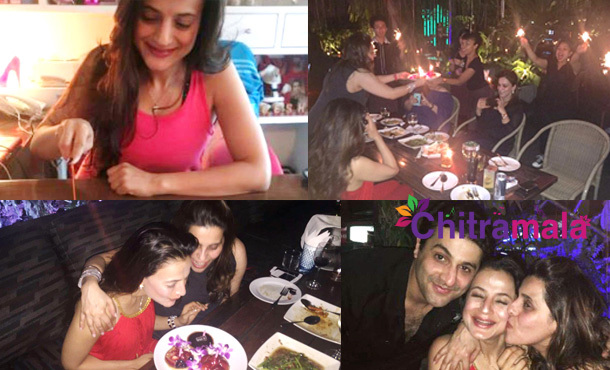 The “Kaho Na Pyaar hai” fame, Ameesha Patel is celebrating her 40th birthday. The actress was already a huge star in India. She entered into South and has made a mark for herself in Telugu films. She acted with top stars like Pawan Kalyan and Mahesh Babu. It was the film Badri that has brought fame to the actress in Telugu film industry. The film’s success made her a huge star in Telugu. Had she concentrated well on it, she could have made a brilliant career in Telugu. She also acted with Mahesh in Nani. She is one of the most beautiful, sexiest and popular actresses of the big screen. She even shares some controversies for her. But she is a bold and strong woman in B-Town. Her nickname is “Angel” and the 40-year-old actress recently celebrated her birthday at Bangkok in a style where she invited a big list of friends to the party. She is happy to spend some great time with her business partner’s family and friends. She is looking to make a strong come back with an impressive character soon.